AZOMITE® is a 100% organic, naturally mined product containing a broad spectrum of minerals and trace elements excellent for re-mineralizing soils and used as an anti-caking agent in animal feeds. AZOMITE® is a registered trade mark and is an acronym for “A to Z of Minerals Including Trace Elements”. AZOMITE® is OMRI, ECO CERT, and Halal certified, and is mined in Utah. Watch short videos (2 – 6 minute) on AZOMITE’s origins, production, and applications here. Where does AZOMITE® come from? AZOMITE® is unique silica (hydrated sodium calcium aluminosilicate (HSCAS) AlCaNaO4Si2+) ) that is mined in Utah from deposits left by an ancient undersea volcano eruption. This combination of seawater, fed by hundreds of rivers rich in minerals, and the rare and abundant minerals present in volcanic ash created the unique AZOMITE® deposit which is found nowhere else on Earth. The deposit is as much as 30 million years old. Today the geologic characteristic is as an outcropping know locally as a “hogback”. Pictures of the AZOMITE® mine. Watch short videos (2 – 6 minute) on AZOMITE’s origins, production, and applications here. In what countries is AZOMITE® sold? AZOMITE® is sold in more than 50 countries worldwide. What is AZOMITE® composed of? What is the "Law of the Minimum"? The “father of fertilizer”, Justus von Liebig, developed the “Law of the Minimum” which is important in understanding what AZOMITE® does. The Law states that plant growth is determined by the scarcest “limiting” nutrient; if even one of the many required nutrients is deficient, the plant will not grow and produce at its optimum. Conventional fertilizer programs focus on the macro-nutrients like Nitrogen (N), Phosphorus (P) and Potassium (K). However, if one of the many essential trace elements is deficient in the soil, the plant will not perform at its optimum, affecting yield and immune function. Will AZOMITE® work on any soil? If a soil has a very high or very low pH, many of the trace elements may become unavailable to the plant. 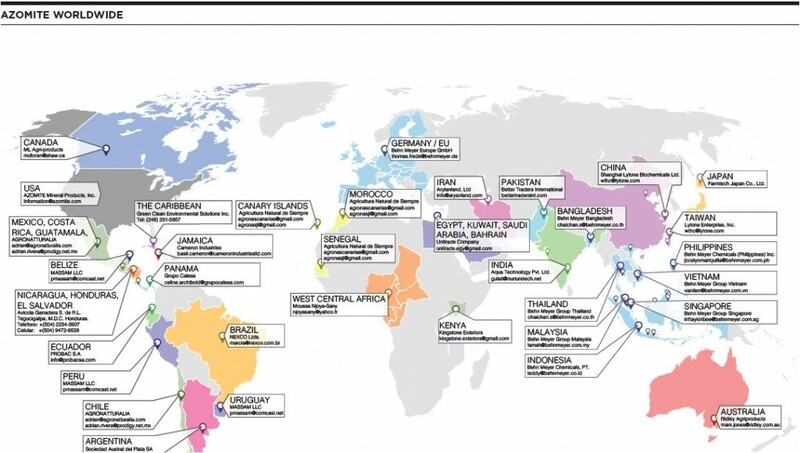 Otherwise, AZOMITE® has worked in a variety of soils all over the world. Watch short videos (2 – 6 minute) on AZOMITE’s origins, production, and applications here. How is AZOMITE® applied to the soil? AZOMITE® is available in several forms. Micronized AZOMITE® is processed into a fine powder that is around -200 mesh or 75 μ. Granulated AZOMITE® is available for easy soil application in a broadcast spreader. A coarser product, AZOMITE® Field Grade and Pellets are also available for soil use. As long as AZOMITE® is in the root zone, the plant and soil biology will benefit. Most farmers apply AZOMITE® directly to the soil at planting. Water will ensure that the roots are able to reach the trace elements. Should I use micronized for soil/crop applications because it “breaks down” faster, is more soluble, or is more available to plants? All grades of AZOMITE® are largely insoluble in water. When only AZOMITE® and moisture are present in the soil, a static equilibrium is established, in which the majority of the AZOMITE® is present as a solid, and the minor amount is present as a solution of the AZOMITE® elements. As soon as a plant is introduced into the soil, the plant begins to take up some of the dissolved elements of AZOMITE®, thereby disturbing the original static equilibrium. In order to try to restore the static equilibrium, more AZOMITE® dissolves, but only at the rate, and to the extent, required by the plant itself. The equilibrium has now changed from static to dynamic and this situation continues for as long as the plant requires the dissolved AZOMITE® elements from the soil. Thus the situation is a true “Slow Release” mechanism, with the process being dictated entirely by the plant itself. By contrast, and as an example, the nitrogen in a typical NPK fertiliser is in a very soluble form, and is always totally available in the soil. However, a plant can only use so much fertiliser at any given time, and what the plant does not take up is washed away by irrigation or rain, or drainage by percolation, and is thereby lost as runoff. Please see graphic here. What effect does AZOMITE® have on plants? Generally, plants grown with AZOMITE® have more and larger fruits/vegetables/flowers per plant, improved pest and disease resistance; higher BRIX and a longer shelf life. AZOMITE® has shown results in a wide variety of plants in the field and in the laboratory. What types of plants is AZOMITE® effective on? AZOMITE® has proven results “scientific or anecdotal” in many species of plant including but not limited to: wine grapes, table grapes, sugarcane, potatoes, rice, watermelon, tomatoes, melons, cantaloupes, onion, garlic, papaya, lemons, oranges, cocoa, coffee, mango, oaks, pines, peaches, chilis, berries, eggplant, tobacco, ornamentals, wheat, corn, and many others. It is not surprising that AZOMITE® should work in many more types of plants because most require the same types of trace elements that the soil is often lacking. Aren't all the minerals necessary for plant growth already in the soil? In most cases, no. The world’s cropland has been under cultivation for many decades and each crop cycle removes trace minerals from the soil or the elements are lost through erosion. Since most fertilizer programs only replace Nitrogen (N), Phosphorus (P) and Potassium (K), crops become deficient when the soil has been depleted of the trace elements. A healthy, diverse soil microbiome requires more than NPK. For optimum soil fertility to support crop production at its full potential, a wide range macro, micro and trace elements is necessary. AZOMITE supplies those missing elements. See What is the “Law of the Minimum?”. How is AZOMITE® different from fertilizer? Most conventional fertilizers contain mainly highly soluble Nitrogen (N), Phosphorus (P) and Potassium, which are macro-nutrients. NPK are only three of the many essential nutrients required by plants and a healthy, diverse soil microbiome. For optimum soil fertility to support crop production at its full potential, a wide range macro, micro and trace elements is necessary. 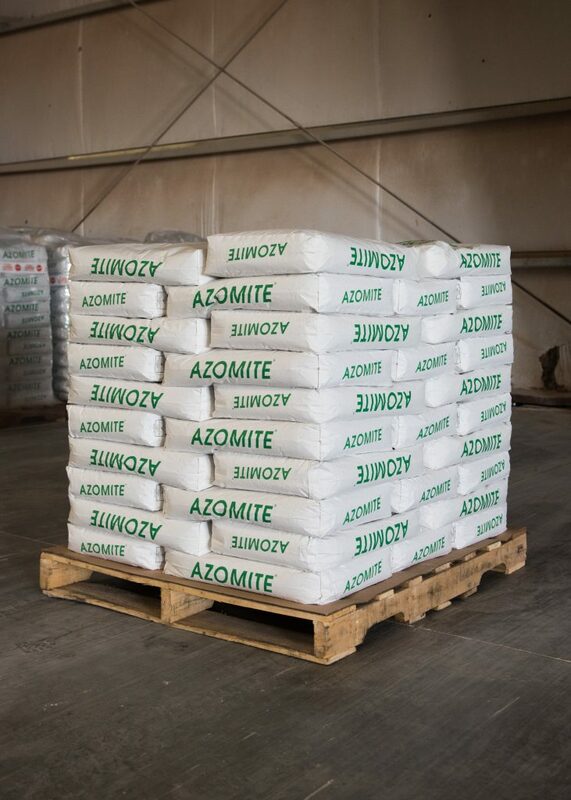 AZOMITE® supplies that essential wide range, from A to Z. AZOMITE® is a natural, nontoxic mineral, certified for organic production, and safe for the environment. AZOMITE® is listed by the Organic Materials Review Institute (OMRI) for use in organic production, ECOCERT, and is Halal certified. 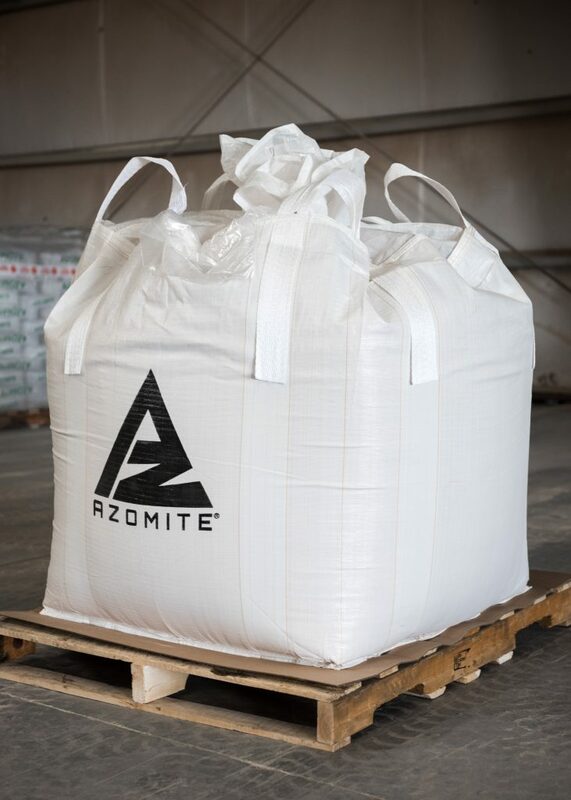 AZOMITE® is simply mined, crushed, sieved for size, bagged and sold. Certificates can be found here. Is AZOMITE® a zeolite or bentonite or a CLAY of ANY KIND? No. Geologists put AZOMITE® into a very broad class known as “Hydrated Sodium Calcium Alumino-Silicates” (HSCAS), but it is unique because of its chemical make-up. The physical structure, number and abundance of trace elements in AZOMITE® make it distinct from any other deposit. “HSCAS” is such a non-specific classification for a mineral deposit that it is akin to simply calling both a great white shark, as well as a sardine,“ fishes” – factually correct, but not precise. A bentonite is an adsorbent aluminum phyllosilicate which, at colloidal size, swells in the presence of water. AZOMITE® is a Hydrated Sodium Calcium Aluminosilicate (HSCAS), and, irrespective of its particle size, it does not swell in the presence of water. An analysis of AZOMITE by P. Bunger, PhD can be found here. Does AZOMITE® contain heavy metals? Yes, but in lesser amounts than exist in a typical soil. AZOMITE® is Generally Recognized as Safe (GRAS) by the US Food and Drug Administration (US FDA). Some plants absorb and accumulate some heavy metals and others don’t. Typical factors that determine which plants absorb which heavy metals are plant type, soil pH, irrigation water quality, type of manufactured fertilizer/pesticide employed and soil organic matter content. The concentrations of heavy metals in AZOMITE® are low compared to the amounts typically found in soil, and the amounts in AZOMITE® are shown in the Certificate of Analysis. Adding AZOMITE® to soil does not increase the concentration of heavy metals in the soil, it actually lowers it slightly. However, it hardly affects the concentrations already there, because the dose levels of AZOMITE® used to treat soils are so low. Of much greater importance than the amounts of heavy metals in AZOMITE® are the amounts already present in the soil, in the manufactured fertilizers/pesticides used, and in the irrigation water. In well over seventy years of AZOMITE® being used to grow crops there has never been a single instance of any toxicity arising from the heavy metals in AZOMITE®. Is the lead in AZOMITE® harmful? The FDA and American Association of Feed Control Officials establish strict guidelines for the amount of various natural contaminates that show up in all types of feed ingredients. At 6.2ppm, AZOMITE® is well below the guidelines for allowed lead in natural feedstuffs. Please see the previous FAQ on heavy metals. Is the aluminum in AZOMITE® harmful? The alumina in AZOMITE® is not biologically available. It is bound to the silica and is an “aluminosilicate”. Sand, clay, most rock deposits, and soil deposits are primarily aluminosilicates. The United States Federal Drug Administration (US FDA) classifies anti-caking agents, and HSCAS/sodium calcium aluminosilicates “at a level not exceeding 2% in accordance with good manufacturing feeding practice” as “Generally Regarded as Safe” or GRAS. The effective and recommended dose rate for AZOMITE in animal feed is 0.05%, far below the GRAS level recommendation of the FDA. In 2019, AZOMITE is included in almost 20 % of US broiler feeds. AZOMITE complies with rigorous US and international registration standards in order to be included in animal feeds in over 50 countries worldwide. Aluminum is a naturally occurring element found in soils. At the low application rates of AZOMITE (typically 80 lbs/80 kg per acre/hectare), the additional amount of non-bioavailable aluminum is negligible. 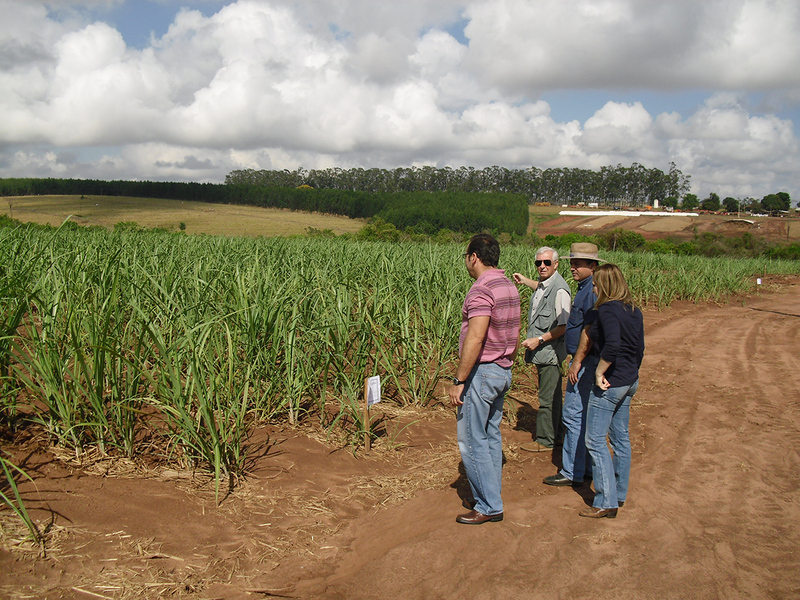 AZOMITE adheres to rigorous US and international registration standards in order to be applied to soils and for agricultural use in over 50 countries worldwide. What is the pH of AZOMITE®? The pH of AZOMITE® in water is 8.0. What is the bulk density of AZOMITE®? What is the Miller Abrasion Index Number (hardness) of AZOMITE®? The Miller Abrasion Index Number for AZOMTE® is 95. What are the particle sizes for the grades (granolumetria) of AZOMITE®? AZOMITE® comes in five (5) presentations, Micronized, Slow Release/Feed Grit, Granulated, Pellets and UltraFine. Retained sieving, microns. All AZOMITE® products are sized to different particle sizes. Granulated and Pellets contain a small amount of binder. Is AZOMITE® sold for human consumption? AZOMITE Mineral Products does not market AZOMITE® for human consumption. Because AZOMITE Mineral Products does not market AZOMITE for human consumption, there are no testimonies or research on our website. However, we are aware of people who consume AZOMITE as a mineral supplement at a rate of about 1/2 teaspoon per day. What are some of the elements in AZOMITE® and their major nutritional functions? Boron (B) – It helps move sugars from cell to cell; control starch formation; stimulates cell division, flower formation and pollination. Calcium (Ca) – Raw material for holding cell walls; raises pH; aids genetic stability; promotes root hair formation and earth; stiffens straw. Chlorine (Cl) – Needed for photosynthesis; stimulates root growth and aids water movement in plants. Cobalt (Co) – Needed by Rhizobium for nitrogen fixation; helps form vitamin B12; improves growth, water movement and photosynthesis; improves growth, water movement and photosynthesis; improves boll production in cotton; activates certain enzymes. Copper (Cu) – Enzyme activator, particularly for certain protein forming enzymes and Vitamin A forming enzymes; it stimulated stem development and pigment formation. Iron (Fe) – Raw material for several enzymes including those that form chlorophyll and those that help oxidize (burn) sugar for energy; also necessary for legume nitrogen fixation. Magnesium (Mg) – Raw material for chlorophyll formation; activates enzymes particularly those involved with nitrogen reactions and energy metabolism; it increases oil production in flax and soybeans; helps regulate uptake of other elements. Molybdenum (Mo) – Needed for nitrogen fixation and nitrogen use in the plant; specifically it is needed to make amino acids; it stimulates plant growth and vigor very much like nitrogen. Nitrogen (N) – Raw material for proteins, chlorophyll, and genetic material (DNA and RNA); stimulates vegetative growth. Phosphorous (P) – Raw material of genetic material (DNA and RNA) and for energy carrying compounds (ATP and ADP); stimulates fruit, seed and root production and early season growth; increases winter hardiness. Potassium (K) – Necessary for sugar movement from leaves to developing fruits and seeds and for starch formation. It helps water movement; stimulates fruit, seed and root production and increases disease resistance; increases red pigment in fruits. Silicon (Si) – Increases the number of seeds (particularly in rice and other grains); increases sugar cane growth. Sodium (Na) Necessary for proper carbohydrate production and use; increases resistance to drought; increases sugar content in some crops (sugar beets). Sulfur (S) Raw material for certain amino acids and thus for proteins; necessary for legume nodule formation; raw material for certain oil compounds that give specific odors to some plants such as onions, garlic, mustard, etc; it is also a raw material for certain protein forming enzymes; it increases oil production in flax and soybeans. Zinc (Zn) Raw materials for several enzymes including those that form growth controlling substances; stimulates stem growth and flower bud formation. AZOMITE® is neither radioactive nor does it have the capacity to emit alpha particles, which can harm humans or animals. The findings of a gross alpha/beta test report prepared by ALS Environmental. (http://www.alsglobal.com/en/Our-Services/Life-Sciences/Environmental) reveal that the alpha radiation values present in AZOMITE® are lower than the dirt in ALS’ parking lot, which sits on a granite formation and the beta emission from this dirt is consistent with the potassium in AZOMITE ®. AZOMITE®’s alpha number, averaged from 6 samples, gave a value of 5.8 pCi/g and, typically, in order for ALS to even log the sample in their inventory, it would need to be above 20 pCi/g. Every food contains some small amount of radioactivity. http://www.physics.isu.edu/radinf/natural.htm The common radionuclides in food are potassium 40 (40K), radium 226 (226Ra) and uranium 238 (238U) and the associated progeny. Here is a table of some of the common foods and their levels of 40K and 226Ra. For more information, please view this Gross Alpha/Beta Study. Ref: Handbook of Radiation Measurement and Protection, Brodsky, A. CRC Press 1978 and Environmental Radioactivity from Natural, Industrial and Military Sources, Eisenbud, M and Gesell T. Academic Press, Inc. 1997. Is AZOMITE® the same as rock dust? In contrast to volcanic basalt or other “rock dusts”, AZOMITE® also contains a wide variety of those trace elements that are sedimentary in nature, i.e. which come from sea water. This means that AZOMITE® can be thought of as a “rock dust plus.” The volcanic activity in Utah, some 30,000,000 years ago, when Utah was under the sea, caused the molten lava to flow into the sea and with the passage of time, and the retreat of the sea, the end result was the AZOMITE®deposit. This created a unique mixture of both volcanic and sedimentary elements, and not just those elements that are derived from a volcanic source, like rock dusts. This is why AZOMITE® contains so many macro, micro and trace elements, and why it can achieve so much, at such low doses, and still be highly cost effective. What is the Cation Exchange Capacity (CEC) of AZOMITE®? The Cation Exchange Capacity (CEC) refers to the capacity of exchange between a cation (a positively charged ion) in solution, in the soil, and another cation on the surface of any negatively charged material such as AZOMITE®. CEC is a measure of soil fertility and nutrient retention capacity. AZOMITE®’s typical CEC range is 25 – 30 meq/100 g.
What are the recommended dose rates for animal feed? The recommended dose rate for including AZOMITE in animal feeds is ~0.5% w/w. Meaning, approximately 5 kg of AZOMITE per MT of animal feed, or about 10 lbs per US Ton (2,000 lbs). AZOMITE is also a highly effective shrimp pond fertilizer. How is AZOMITE packaged and shipped? We can ship in 20 kg/44 lb plastic or paper bags, 1 T totes, bulk trucks, bulk rail cars (approximately 89 MT/90 T), 20′ ocean containers (holding 16 MT of AZOMITE) or 40′ ocean containers holding about 19.2 MT of AZOMITE. Shipping pallets are heat treated, stacked and shrink wrapped.